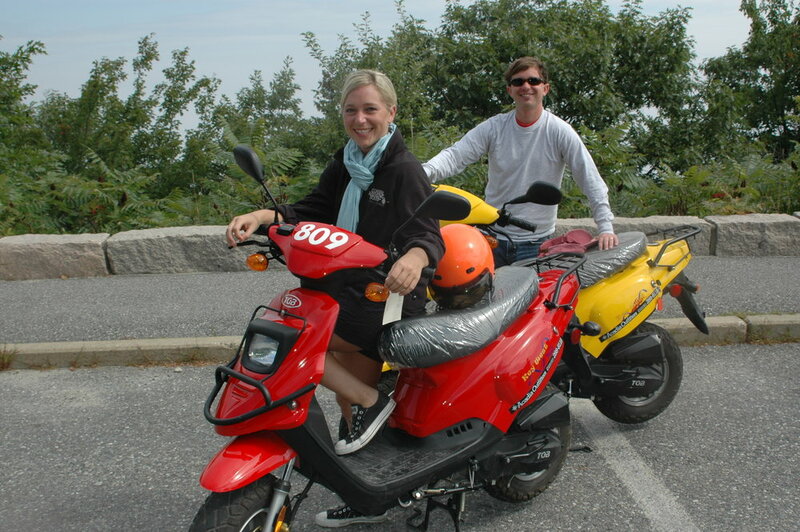 Zip around Park Loop Road on one of our Acadia fun scooters! 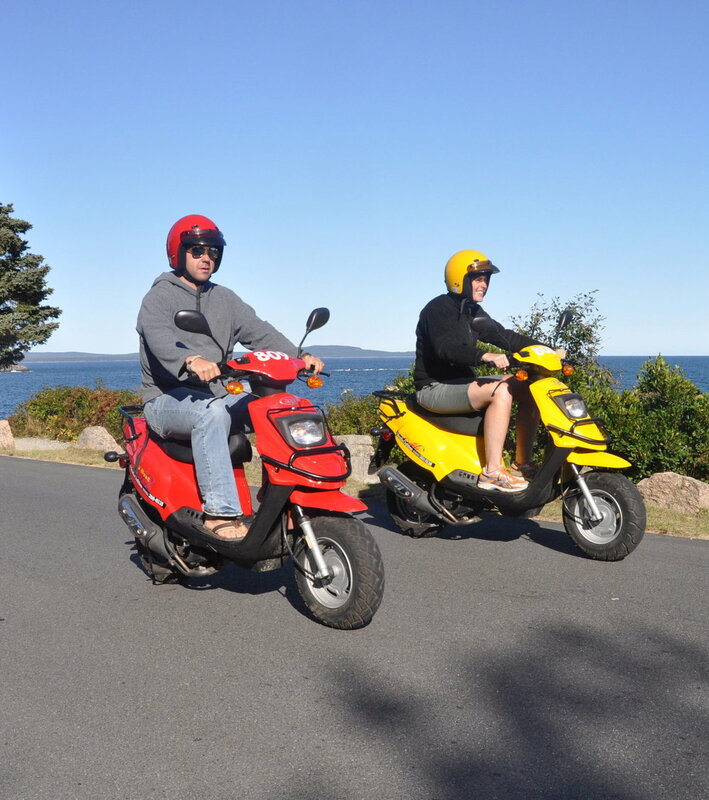 Our 49cc Acadia fun scooters are great for riding the Park Loop Road of Acadia National Park. They’re easy to ride, environmentally friendly and zippy enough to provide a thrill. Never driven a scooter or moped before? No problem! Our professional staff can give you top-flight, easy-to-understand instructions that will have you on your way in no time. All you need is a standard driver’s license from your home state; no special kind of motorcycle license is required. Our scooters have headlights, turn signals, electric starters and ample storage space under the seat. We supply helmets and maps of the island – the only thing left for you to do is have fun. Minimum age of scootering is 18 for both drivers and passengers.